Wilhelmsen Ships Service (WSS) conducts safety inspections of on- board welding equipment and consumables at 26 ports throughout the world. Its findings reveal how a lack of maintenance, respect and care for this essential, yet highly dangerous, technology is putting safety, efficiency and even lives at risk everyday. WSS, the leading global provider of maritime products and services, offers inspections at a network of key international shipping hubs, including New Orleans, Dubai, Rotterdam, Panama and Shanghai. These involve approved port representatives systemically working through a list of 75 checkpoints to assess the safety of all electric arc and gas-welding equipment. These inspections, usually lasting for one to two hours, reveal a litany of safety risks and non-conformances, most of which can be easily remedied. Andersen highlights common issues such as cracked gas hoses, missing or makeshift hose clips (allowing highly flammable gas to escape), earth/ground cables that are connected to the hulls of ships during electric arc welding (feeding the return current into the surface that the welder may be standing or lying on) and industrial welding machines where the Open Circuit Voltage (OCV) exceeds 70V, and are therefore not in compliance with the MCA’s Code of Safe Working Practices for Merchant Seamen. One of the most dramatic, and most dangerous, risks, he explains, is from ‘flashbacks’. He continues:“Poorly maintained cutting nozzles and welding necks are a main cause of this phenomenon, as they lead to turbulent gas flow and disturb the gas mix exit velocity, increasing the risk of flashback. It’s therefore vital to inspect nozzles and welding necks regularly, making sure they’re clean and replacing damaged nozzles. Welding shanks must also be fitted with non-return valves and regulators fitted with flashback arrestors. WSS says the majority of the issues highlighted under inspection are often ‘housekeeping’ ones that can be remedied with improved handling, storage and maintenance of equipment. Recommendations on how to address these areas, along with details of any repair work or necessary spare parts, are included in the confidential reports that inspectors compile for shipowners and operators after their visits. 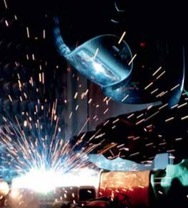 WSS, which also markets the globally leading Unitor brand of welding products, carries out inspections at the following strategically located ports;Vancouver, Fremantle, Piraeus, Los Angeles,Singapore,Genoa,NewYork,Hong Kong,Algeciras, Philadelphia, Shanghai, Lisbon, Jacksonville, Guangzhou, Antwerp, New Orleans, Kaohsiung, Rotterdam , Houston,Yokohama, Hamburg, Panama, Dubai, Barcelona, Rio, and Fujairah. Wilhelmsen Ships Service is part of Wilhelmsen Maritime Services, a Wilh.Wilhelmsen group company. It has the world’s largest maritime services network, with 4,500 marine professionals servicing 2,200 ports in 125 countries. Wilhelmsen Ships Service supplies safety products and services, Unitor products, Unicool refrigerants, Unitor and Nalfleet marine chemicals, maritime logistics and ships agency to the maritime industry. Last year the company made product deliveries to 25,000 vessels and handled 70,000 port calls.